John B. White Jr. - Harrison White, P.C. Home » Attorney Profiles » John B. White Jr. Managing Shareholder John B. 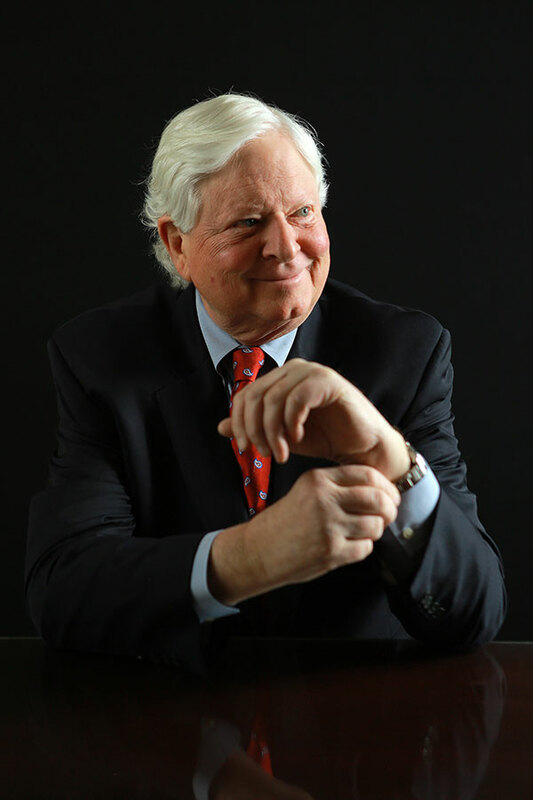 White Jr.’s legal career spans 40 years and has resulted in hundreds of jury trials with numerous verdicts and successful settlements, including a $327-million jury verdict against Ortho-McNeil-Janssen Pharmaceuticals in 2011. John was appointed by Governor Henry McMaster as Chairman of the Board of the South Carolina Transportation Infrastructure Bank. John has been named a Best Lawyer in America since 2007 and a South Carolina Super Lawyer for the past 10 years. He serves on the state’s chapter of the American Board of Trial Advocates and the American Association for Justice, as well as in leadership positions on numerous boards and legal associations. After receiving a B.S. degree in biology at Wofford College in 1972, White served in the U.S. Army before entering the University of South Carolina School of Law. He received his law degree in 1975. After college I spent some time in the Army where I was assigned to do low level summary hearings. I immediately liked the questions and the inquiry as it applied to the rules of military conduct. After leaving the Army I decided that a law degree would be something that would be beneficial for me whether I actually practiced or not. Turns out I was right, and I’ve been practicing for over 40 years. If working properly, the law is the most objective process to arrive at a solution that allows justice and equity to be done no matter your race, color, creed or social standing. Wofford College, Spartanburg, South Carolina, 1972 – B.S. University of South Carolina School of Law, Columbia, South Carolina, 1976 – J.D.